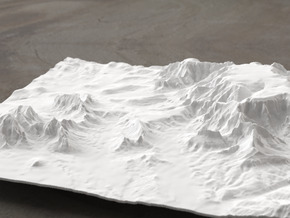 Though at 11243' it is only 650' higher than Interstate 70 at Vail Pass, Mt. 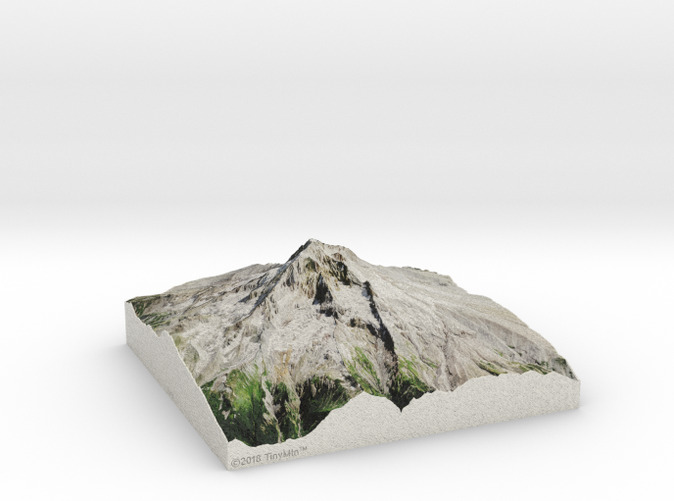 Hood is the highest point in Oregon and the fourth-highest peak in the Cascades. 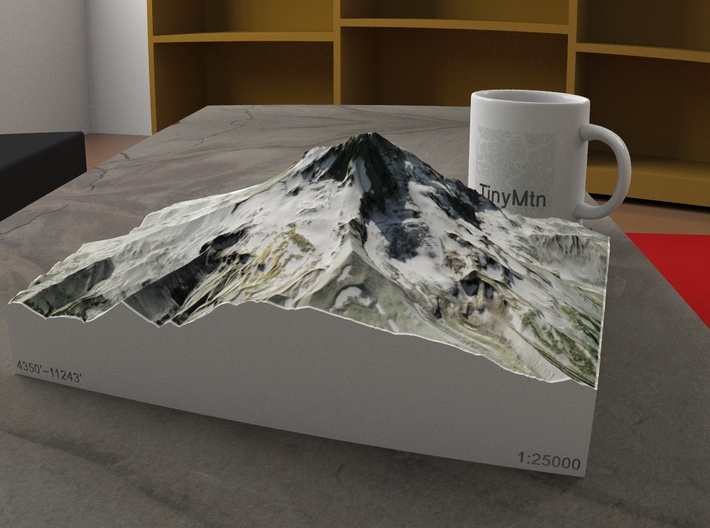 It is a potentially-active stratovolcano (named after the many layers, or strata, of which it is composed) whose last major eruption was just over 230 years ago. 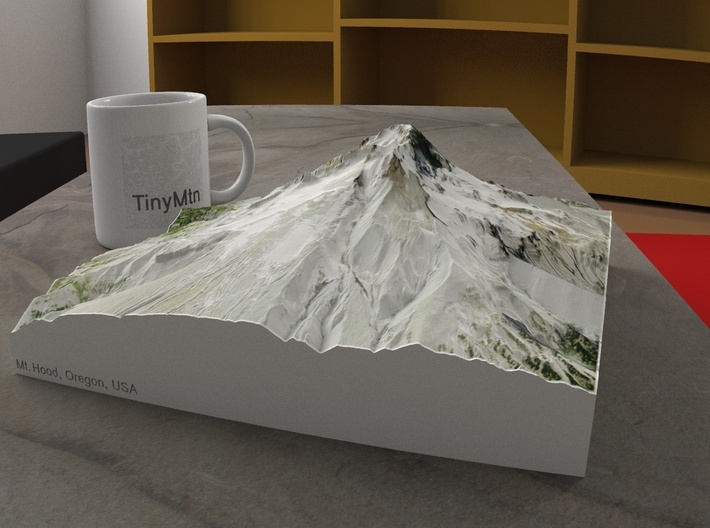 This model showcases Mt. Hood's summit, including a detailed Crater Rock and Devil's Kitchen Headwall, all the way down to steep valleys at 4350' (well below the treeline). 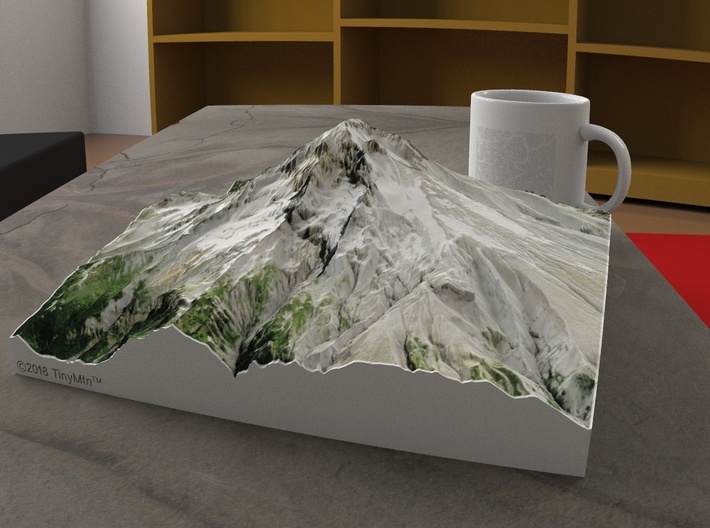 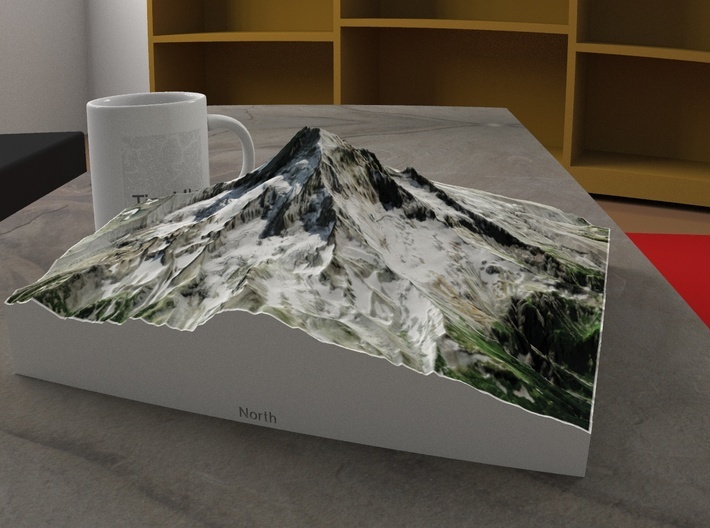 We hope seeing this model on your desk inspires you to become one of the roughly 10,000 people who attempt the summit every year (if you are not one of them already!). 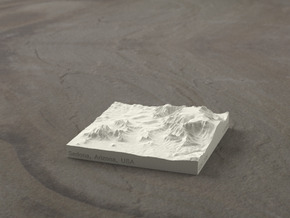 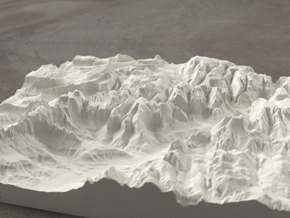 Other features of this 3d printed map are Illumination Rock and Hot Rocks at the top of Zigzag Glacier and Mississippi Head at its base, Yocum Ridge and numerous crevasses in Reid Glacier, a prominent Pulpit Rock overlooking Coe Glacier and the tip of the Barrett Spur, a deeply-crevassed Eliat Glacier next to Cooper Spur, and the top reaches of the Mount Hood Meadow Ski Area. 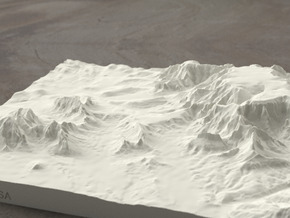 Click here for other 1:25000 models.